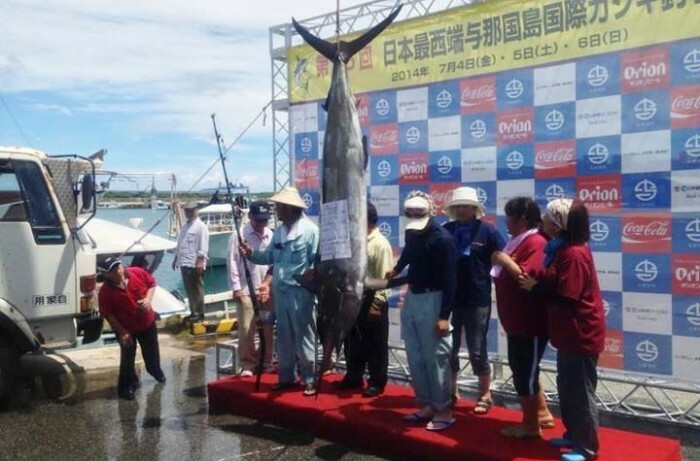 Yonaguni is well-known among fishermen for its giant billfish. The term “Billfish” refers to various predatory fish species that all have a spear-like bill, which they use for slashing at and stunning prey. Billfish can are spread throughout the world’s oceans and are highly migratory species although they typically reside in tropical or sub-tropical waters. Billfish are among the most coveted catch among recreational fishermen on the oceans. In Japan, the prime areas of blue water fishing are areas around Okinawa, particularly the southern islands of Ishigaki and Yonaguni, a remote island of Okinawa Prefecture closest to Taiwan. A swordfish barbeque party ends the tournament. The Yonaguni International Billfish Tournament is an annual event that takes place for 26th time this year. The event aims at introducing the oceans around Yonaguni Island, and attracting game fishing enthusiasts and tourists to come to visit the island. The annual event is a big deal on Yonaguni, and over the years has helped to expand the wave of visitors’ friendship with local people. It has also helped to develop and vitalize tourism and fishery industry on Yonaguni in addition to appeal to develop Yonaguni Island as a Mecca of off-shore fishing leisure. The tournament consists two kinds of competition, trolling and surf fishing, and takes place over two days on Jul. 4th and 5th. Although the registration to take part in the competition this year is finished already, those who are interested in the sport should start planning a trip for next year already. In the trolling competition, a team who catches the biggest billfish weighing over 5kg within a time limit of 10 hours on the first day of the event is the winner of the trolling contest. In the surf fishing part, an individual who wants to win must catch the biggest fish of any kind weighing 1 kg in 6 hours. In addition to the fishing tournament, organizers have a variety of events over a period of three days, such as Karaoke contest, Hula show and music performance by the Japan Air Self-Defense Force Band. Other events include boat tours. A trip to the mysterious undersea ruins off the Yonaguni island for experienced scuba divers, and free Yonaguni Horse riding. The annual event takes place every year on Friday, Saturday and Sunday of the first weekend in July. 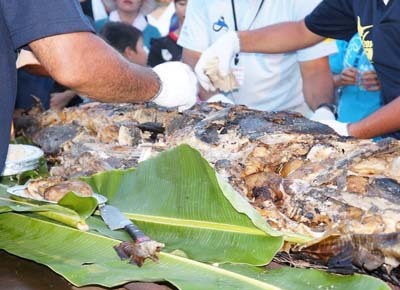 The events concentrate on the Kubura Fishing Port on Yonaguni Island. Admission to the festival is free, although boat and diving trips are for a fee.